Experience a more rewarding journey. To unlock your Platinum Card Car Rental Privileges, include CDP #211762 in your Hertz reservation and pay with your Platinum Card. When you arrive, you'll reach your car as quickly as possible, with expedited service at over 40 of the world's largest airports if enrolled in Hertz Gold Plus Rewards. As a Platinum Card Member, you'll get a 10% bonus on Hertz Gold Plus Rewards Points if enrolled in Hertz Gold Plus Rewards, good towards rental charges, free weekend days and more! Once you're ready to get on the road, you can do so in comfort and style, with perks including- complimentary one-car-class upgrade based on availability. Experiencing on-the-road delays? Not a problem. Take advantage of a four-hour grace period on returns in the US. Applies only to time and mileage charges, and does not include optional items like navigation systems and liability/loss coverage. Receive special savings for Platinum Card Members on weekend rental rates at participating locations for the Hertz Prestige Collection - high-end luxury vehicles that can transform any trip into a special one. The Platinum Card® Member must use the designated program CDP #211762 at the time of reservation and pay for the Hertz rental with his or her Platinum Card to receive the following benefits from Hertz: 1) Special rates at participating corporate Hertz locations worldwide. Rates and special savings vary depending on location and time of booking. 2) In the U.S., a 4-hour grace period for return of a rental car at no charge for time or mileage before an extra day charge is applied. The 4-hour grace period excludes (i) optional items such as Hertz NeverLost, car seats, and satellite radio and (ii) optional liability/loss coverage such as Loss Damage Waiver (LDW) and Personal Accident Insurance (PAI). 3) A one-car class upgrade at time of rental, subject to availability, on rentals of compact through full-size cars. 4) A 10% points bonus on all reservations made with a Hertz Gold Plus Rewards membership number. Membership in Hertz Gold Plus Rewards® is complimentary, but enrollment is required. Additional benefits are provided by Hertz with the Hertz Gold Plus Rewards® status at participating locations when a Hertz Gold Plus Rewards® membership number is included in the reservation. The minimum age for membership is 21 years. All rentals are subject to all other Hertz requirements and terms and conditions of the Hertz rental agreement. 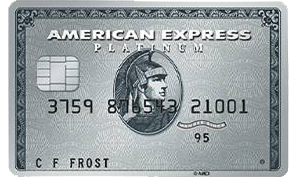 For more information, contact Platinum Card Customer Service at 800.525.3355 or visit americanexpress.com/platinum. Hertz Gold Plus Rewards and Hertz NeverLost are registered trademarks of Hertz System, Inc.